Solar Frontier Americas (SFA) continues to develop its pipeline of over 1 GW of utility-scale solar power generation plants. The SFA completed solar project pictured is located in Southern California. 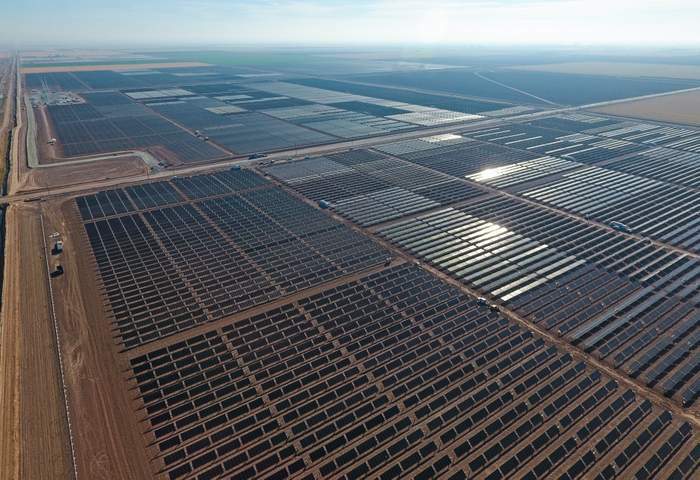 Canadian Solar’s wholly owned subsidiary Recurrent Energy LLC completed the sale of its 150 MW ac/210 MWp Mustang Two solar project to Solar Frontier Americas, which is starting to get into the independent power producer business. Located on 1,400 acres in Kings County, California, the Mustang Two project is expected to create approximately 400 jobs during peak construction. In this partnership, Recurrent Energy will continue to manage the development of the project, readying it for construction; Solar Frontier Americas will finance and manage the construction of the project, which is slated to achieve commercial operation in 2020. The project will then be operated by Solar Frontier Americas’ growing independent power producer (“IPP”) business.